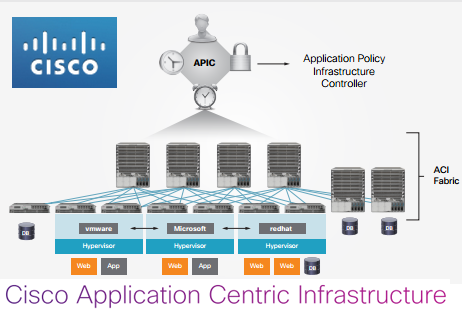 Cisco unveiled its Application Centric Infrastructure for data centers and clouds. Cisco Nexus 9508 Switch: an 8 slot, compact 13 RU form factor chassis designed for high density End-of-Row (EoR) and high performance 10/40GbE aggregation layer deployments. 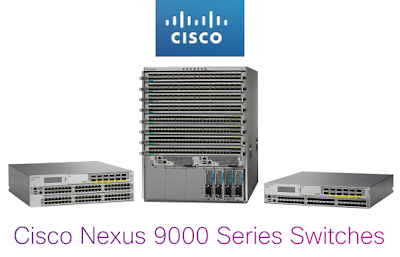 Cisco Nexus 9300 Switches: fixed switches designed for top-of-rack and middle-of-row deployments. 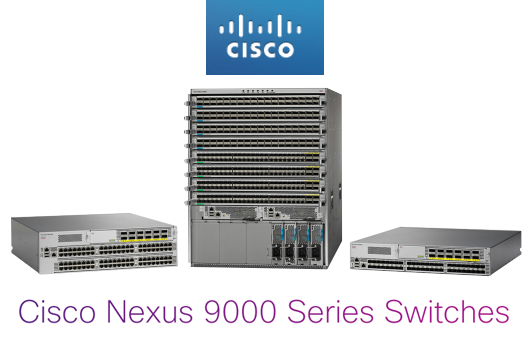 In the first half of 2014 Cisco expects to extend the Nexus 9000 switch family to include a four-slot and 16-slot system and additional top of rack switches. Cisco acknowledged that the ecosystem will play a key role for ACI. The company said it will offer an open sourced, southbound RESTful API. It will also support Puppet, Chef, CFEngine, Python scripting, and other programming tools. Partners include BMC, CA Technologies, Citrix, EMC, Embrane, Emulex, F5, IBM, Microsoft, NetApp, OpsCode, Panduit, Puppet Labs, NIKSUN, Red Hat, SAP, Splunk, Symantec, VCE, and VMware. Cisco will acquire the remaining interest that it does not yet hold in San Jose-based Insieme Networks, its in-house spin-in focused on application centric infrastructure products. Insieme was started by three Cisco insiders: Prem Jain, Mario Mazzola and Luca Cafiero. Insieme's platform is being labeled the Nexus 9000 family of data center switches for End-of-Row (EoR), top-of-rack and middle-of-rack deployments. 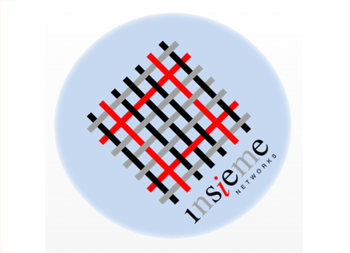 Upon the close of the transaction, Insieme will become a wholly-owned business of Cisco. The maximum potential payout as a result of Cisco’s acquisition is $863 million, based primarily on the revenue achieved by the sale of Insieme products. In April 2012 Cisco announced it made an investment in Insieme Networks of $100 million, and agreed to commit an additional $35 million in November 2012 upon the satisfaction of certain conditions. Barracuda Networks completed an initial public offering of 4,140,000 shares of its common stock at a price to the public of $18 per share. The shares are now traded under the symbol NYSE: CUDA. Morgan Stanley & Co., J.P. Morgan Securities and BofA Merrill Lynch were lead joint bookrunners for the offering. Barracuda provides cloud-connected security and storage solutions. Ericsson presented an update on its business fundamentals, market outlook, competitive positioning and investment strategy at its annual Investor Day conference in Stockholm. "Looking at sales growth in a longer perspective, it is encouraging to see that we grew twice as fast as the market in 2010-2012, currency adjusted. This is proof that our strategy is effective and that we are delivering real value to our customers,"
stated Hans Vestberg, Ericsson's CEO. Ericsson's key competitive assets are (1) Technology leadership (2) Services leadership (3) Global scale. 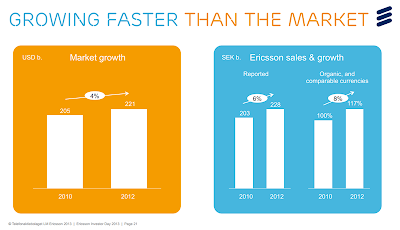 Ericsson expects steady growth across all areas with no major changes in figures for the main compound annual growth rates (CAGR), compared with last year. 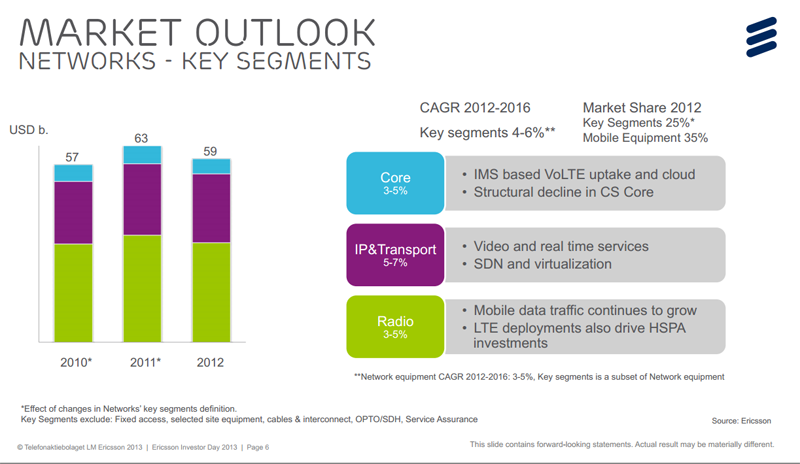 Ericsson estimates that the total network equipment market will show a CAGR of 3-5%; telecom services is estimated to show a CAGR of 5-7%; and the market for support solutions is forecasted to show a CAGR of 9-11%. Over 1 billion subscribers currently are directly managed by Ericsson and 2.5 billion subscribers are supported. Ericsson has 64,000 service professionals in the field. It has 114,00 employees in total in 180 countries. About 24,000 employees are in R&D. 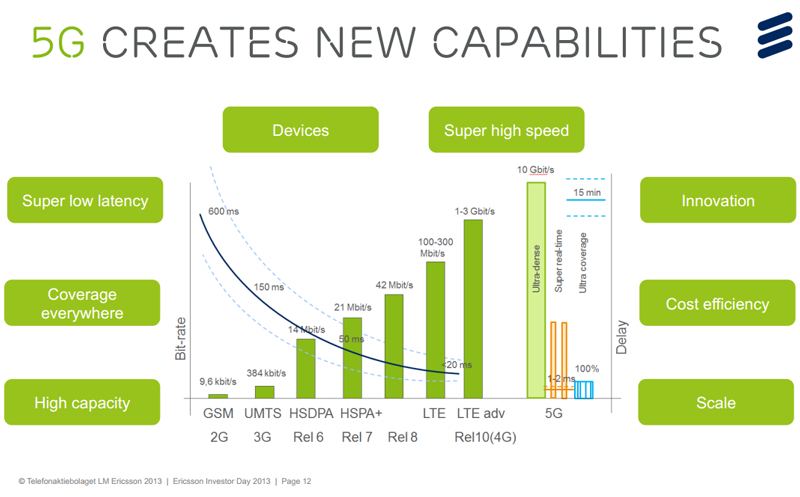 50% of LTE smartphone traffic traverses Ericsson equipment. In the TV & Media Business, where Ericsson has recently acquired Microsoft's Mediaroom division, Ericsson claims 25% IPTV market share with over 13 million subscribers. In patent licensing, Ericsson earned SEK 6.6 billion (US$1.02 billion) in 2012. LTE smartphone uptake is a key driver going forward. Services revenue will likely continue to increase as a % of total sales over time. Software sales will also gradually increase as the company evolves. Managed Services deals are characterized by long-term engagements, multi-vendor deployments, customer OPEX savings, and high renewal rates. 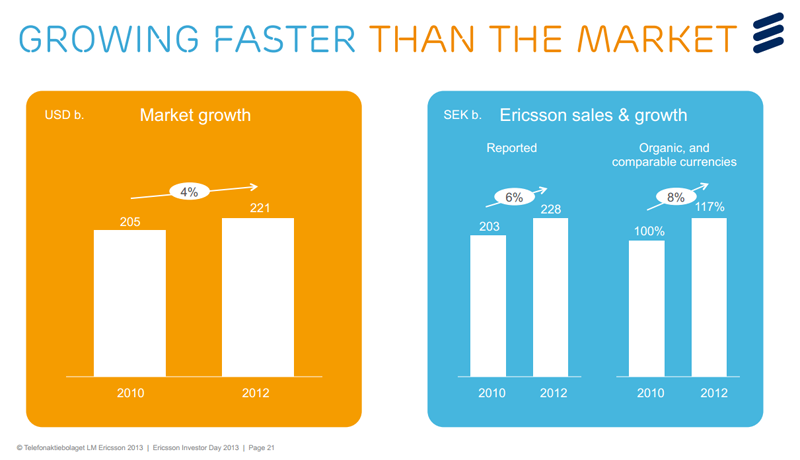 Ericsson's global scale is a key advantage. 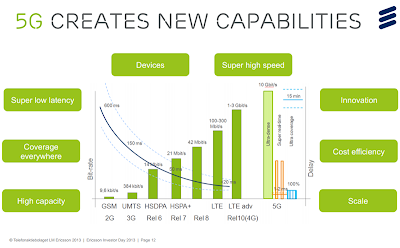 By 2019, Ericsson expects about 65% of the world's population will be covered by LTE. Ericsson invests 14.4% of its revenue in R&D. About 80% of R&D is now focused on software. The concept of "network slicing" will be key for how Service Provider leverage SDN and the cloud. Service Provider networks need to become media-aware. 5G, which is now in the earliest development stages, will aim for high-capacity, coverage everywhere, super low-latency, super high-speed and cost efficiency. 70% of mobile traffic is generated indoors. Ericsson now has 78 contracts for its SSR and 39 live networks. Ericsson now has 21 VoLTE/ISMs contracts. 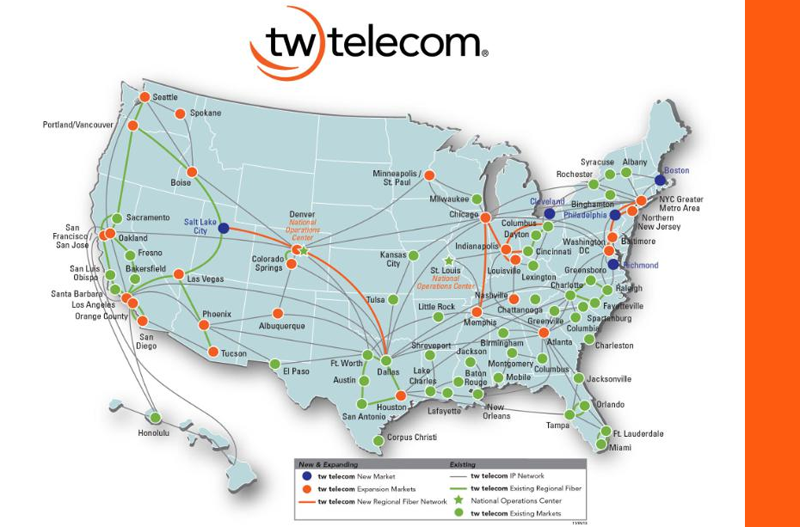 tw telecom announced a multi-market expansion of its metro and regional fiber network into five new markets across the U.S.: Boston, Cleveland, Salt Lake City, Philadelphia and Richmond. The expansion increases its addressable market by expanding its metro fiber footprint approximately 17%. tw telecom will also increase the density of its metro-fiber footprint in 27 existing markets. 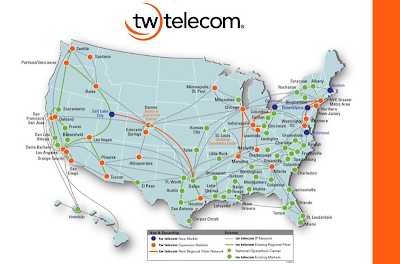 "Our multi-market expansion will leverage our proven investment model, national network, Ethernet leadership and our powerful and scalable integrated nationwide platform to rapidly rollout products and services across our expanding footprint," said Larissa Herda, tw telecom's Chairman, CEO and President. "Expanding our fiber infrastructure will allow us to build on our nationwide network by increasing our addressable market, extending our regional connectivity, and strengthening key corridors of commerce for our existing operations," said John Blount, tw telecom's Chief Operating Officer. "By accelerating the expansion of our existing markets using our established operational teams and infrastructure, as well as entering new cities where our customers already have networking needs, this expansion gives us quick access to current demand and an accelerated path to greater revenue opportunities." Qualcomm reported quarterly revenue of $6.48 billion, up 33 percent year-over-year (y-o-y) and 4 percent sequentially. Net income was $1.50 billion, up 18 percent y-o-y and down 5 percent sequentially. MSM chip shipments in the quarter came in at 190 million units, up 35 percent y-o-y and 10 percent sequentially. "I am very pleased with our record financial performance this year as we delivered revenues of $25 billion, up 30% versus last year. Our technologies underpin the global growth of wireless data, and our semiconductor solutions are used across the industry's flagship smartphones," said Dr. Paul E. Jacobs, chairman and CEO of Qualcomm. "Looking forward, we expect continued strong growth of 3G and 3G/4G multimode devices around the world, particularly in China with the anticipated launch of LTE. Qualcomm remains well positioned from a growth standpoint, and we expect double-digit compound annual growth rates for both revenues and earnings per share over the next five years." 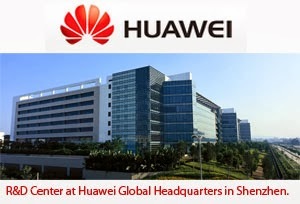 Huawei plans to will invest a minimum of US$600 million in research and innovation for 5G technologies by 2018. The company predicts that the first 5G networks will be ready for commercial deployment starting in 2020 and will deliver peak data rates of over 10Gbps, 100 times faster than today's 4G networks. Eric Xu, rotating CEO of Huawei, said: "Innovation is a continuous journey. While we continue to evolve our existing 4G network capabilities, we plan to invest a minimum of US$600 million over the next five years on research and innovation for 5G mobile network technologies to ensure that we are meeting the consumers' demands for increasingly faster and better connections. This number does not include investment to productize 5G technologies. 5G mobile networks with the peak data rates of over 10Gbps will allow people to download high-definition movies in one second and provide a true-to-life video communications experience." "There are several issues that must be resolved before 5G can become a reality," said Mr Xu. "These include the availability of spectrum and technological challenges, such as how to engineer network architectures capable of handling increasingly higher data volumes and transmission speeds necessary to accommodate more users on the network. By 2020, it is estimated that 6.5 billion people worldwide will use mobile networks for data communications and 100 billion of additional ‘things', such as vehicles, meters, medical devices, and home appliances, will also be connected to the network over 5G. We have already achieved many technological breakthroughs in 5G research and innovation, but the majority of the work remains ahead of us." Huawei noted that it began investing in 5G in 2009, and demonstrated the first prototypes at the Mobile World Congress in 2011 and 2012 with the capacity up to 50 Gbps.